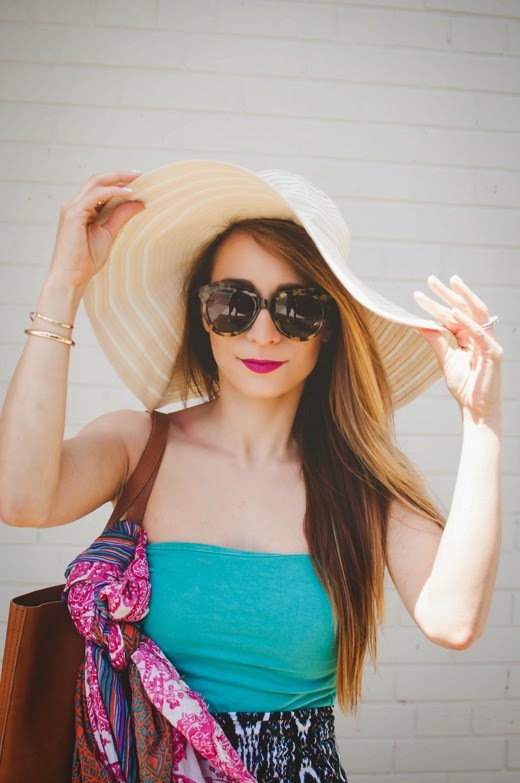 OOTD - Tribal Maxi Skirt | La Petite Noob | A Toronto-Based Fashion and Lifestyle Blog. I hope you're all enjoying the amazing weather! What did you do to enjoy the weekend? such a cute outfit! its so summery! Thank you Elizabeth! My theory is that if I keep on dressing like it's summer, then the warm weather will stick around for a bit - haha! That is so nice - thank you! Loving this outfit! The colors look great on you and I just love the hat! Thank you! I am such a sucker for a wide brimmed hat - and then I complain about being so pale - haha!